Erratum: The key to the chart had the colors switched. The dot should be CC1 and the blank square should be MC. DUH! 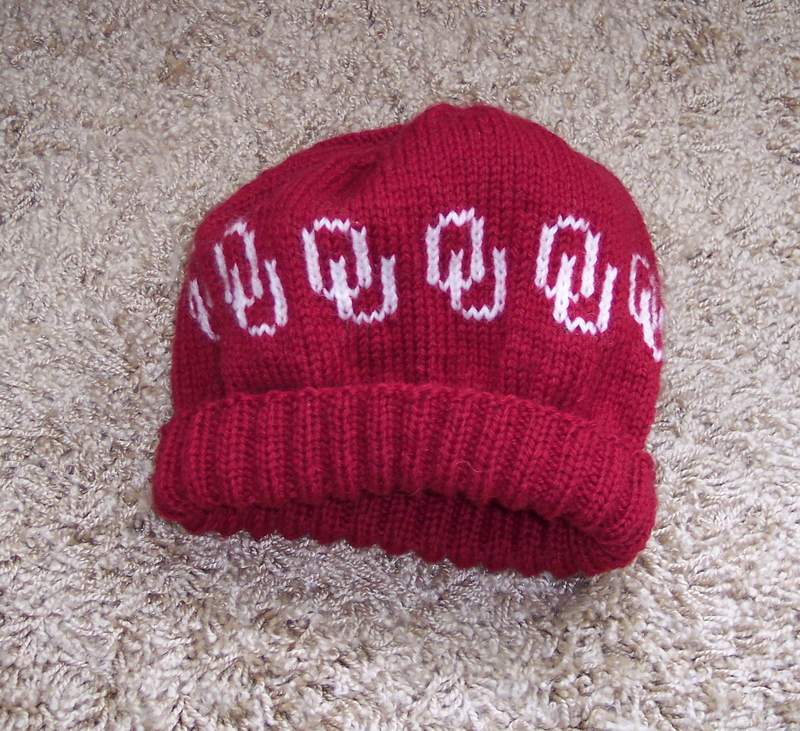 Hello, I was just wondering how came to create the OU Sooner hat? My son goes to OU and am a Sooner fan. Thanks for sharing this pattern. With many ‘die-hard’ Sooner fans in the family, it will be well used by me. Boomer Sooner! I’m an Okie, and I LOVE this hat! !